Our warm greetings to you! We welcome your move in constituting the HR Victims’ Board of Claims that will finally set the implementation of R.A. 10368 that you signed almost a year ago from now. However, we are quite dismayed and outraged that the provisions of the law as regards the qualification of the members of the Board of Claims were not diligently followed when you appointed former PNP General Lina Castillo-Sarmiento. Not only does she not, we think, fit the qualifications of the member of the Board of Claims, much less the chairmanship of the said body; but she comes from the institution which the majority of the victims pinpoint as one of those that committed grave abuses against their persons and properties during the dictatorship years and even up to now. That is why, today, the eve of the anniversary of People Power I that catapulted your mother, former President Corazon Aquino; and yes, even you; we are here at the foot of the historic Mendiola bridge AGAIN, EVEN IN OUR SENIOR YEARS, to express our protest at your appointment of former PNP General Lina Castillo-Sarmiento as head of the Victims’ Claims Board. Please understand that her presence in the said body will not inspire respect or confidence in the hearts of the victims whose applications, with all their personal details, the Victims’ Claims Board will process. There are members of your yellow army who may have been victimized during martial law but are now your administration’s apologists and scoff at our righteous indignation against your action and consider it as something we are afraid of because maybe upon Gen. Sarmiento’s use of her investigative skills, fake claimants will be found out among our ranks. We tell these advisers of yours to perish such thoughts because our years as being human rights defenders investigating human rights violations since martial law up to now have led us to the conclusion that there are very few among our police forces with such skills and that many of them are being used by elements of the AFP to whitewash the cases by bungling the investigations. In the same breath that you ask us to give General Sarmiento a chance, we ask you TO PLEASE GIVE THE VICTIMS A CHANCE. For far too long have the government security forces including the PNP, lorded it over our political landscape, we think that it is time for the victims to be heard in matters that concern them. R.A.10368 or the Victims’ Reparation and Recognition Act of 2013 has been fought for by the victims for so long; we think that their voices must be heard in the law’s implementation. Recall the apppointment of Gen. Sarmiento as head of HRV Claims Board! Justice to all Martial Law Victims! 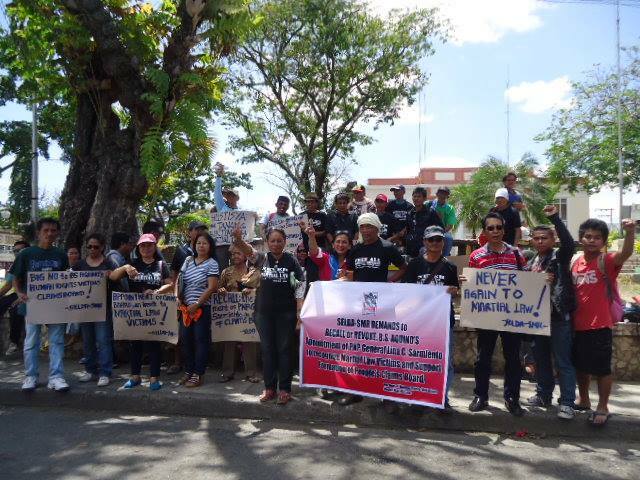 DAVAO CITY – Samahan ng mga Ex-Detainees Laban sa Detensyon at Aresto-Southern Mindanao Region (SELDA-SMR) joins the National Day of Protest today, February 24, 2014 to mark the eve of commemoration of the 28th anniversary of People Power 1 with a protest over Pres. 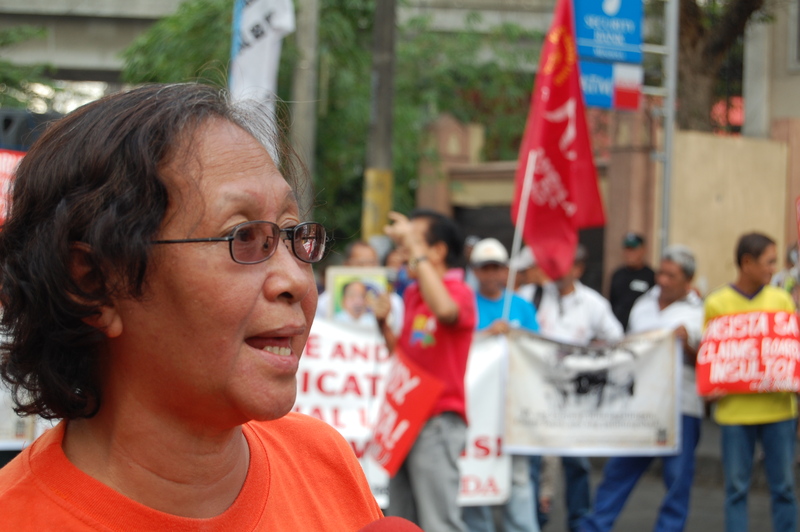 Benigno Aquino’s appointment of a retired police general and former Philippine Constabulary as head of Human Rights Victims’ Claims Board. PNP Director Lina Castillo-Sarmiento, was part of the defunct Philippine Constabulary (PC) along with the Armed Forces of the Philippines who implemented Ferdinand Marcos’ Martial Law that resulted to gross human rights violations during 1970’s to mid-80’s. 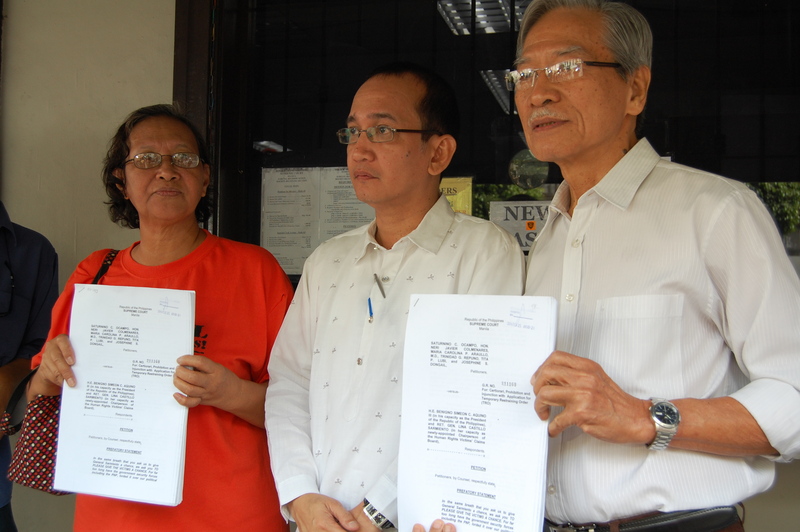 “We are disgusted with the Aquino-formed Claims Board! This is the gravest insult that BS Aquino government inflicted upon the victims of Martial Law. It is unjustifiable that a former PC, the most dreaded human rights violator will lead a group that will process the recognition and reparation of Martial Law victims? How ironic, we cannot simply accept that!” expressed Fe Salino, secretary-general of SELDA-SMR. It was also last year’s commemoration of People Power 1 when Pres. BS Aquino signed Republic Act 10368 known as “Human Rights Victims Recognition and Reparation Act of 2013”, with its solemn mandate to provide reparation and recognition of human rights victims of the Marcos regime is invested with the gravitas of history forged in the struggle against a dictatorship. The law is also a culmination of the victims’ struggle and the quest for truth, justice and the condoning of rash and remorseless assaults against freedom and human dignitiy. Republic Act 10368 states that members of the Claims Board must be of known probity, competence and integrity; must have a deep and thorough understanding of knowledge of human rights and involvement in efforts against human rights violations committed during the regime of former President Ferdinand E. Marcos; and must have a clear and adequate understanding and commitment to human rights protection, promotion, and advocacy.